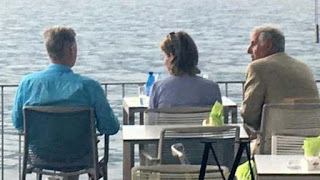 No more activities for Philippe & Mathilde after crown prince Frederik's 50th birthday bash in Copenhagen - apart from the king's usual Monday audience with the prime minister, and his presence in Liège on Tuesday after a dramatic shooting. 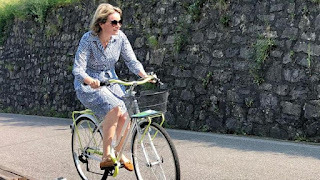 That's because the royal couple spent a little less than a week relaxing in Northern Italy (Brescia). 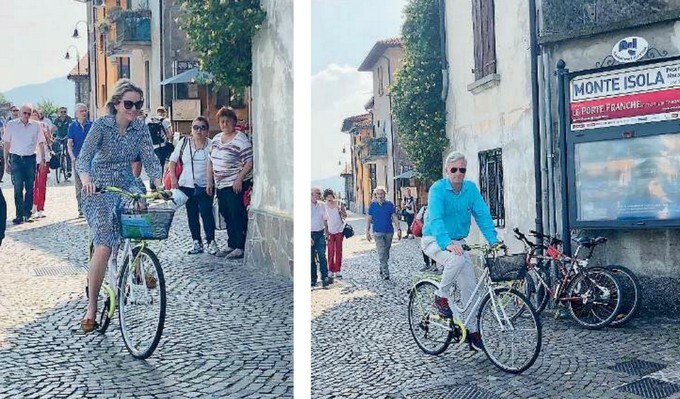 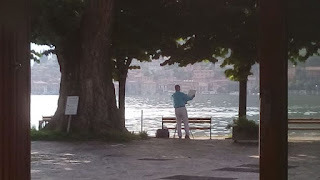 These shots were taken in Solzano at the Iseo Lake where the king & queen had a coffee with the local mayor. Philippe putting up a painting easel. 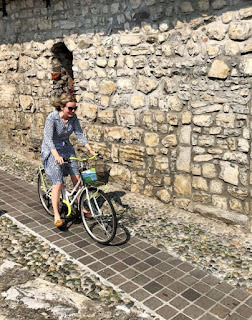 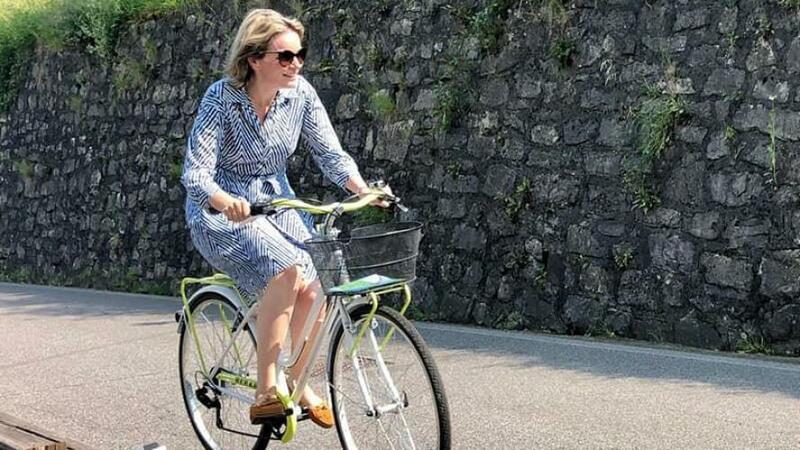 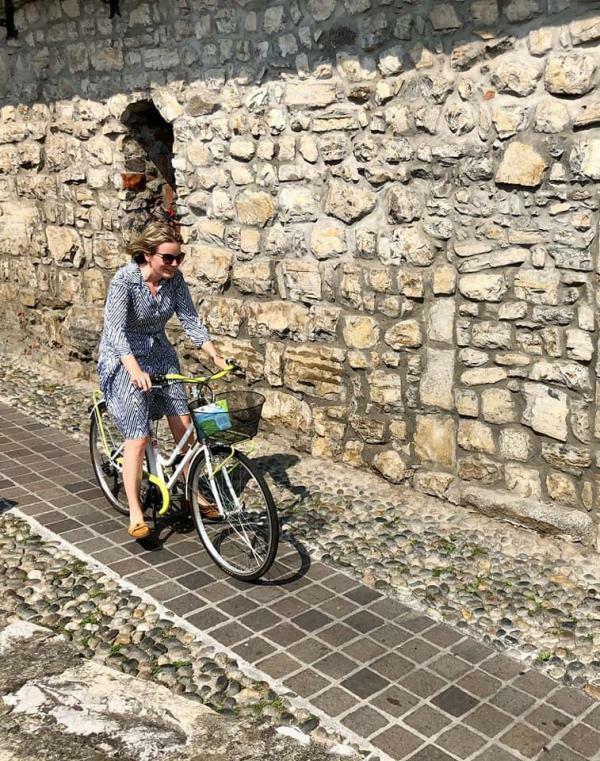 As usual when she has some time off, Mathilde took to her bike. 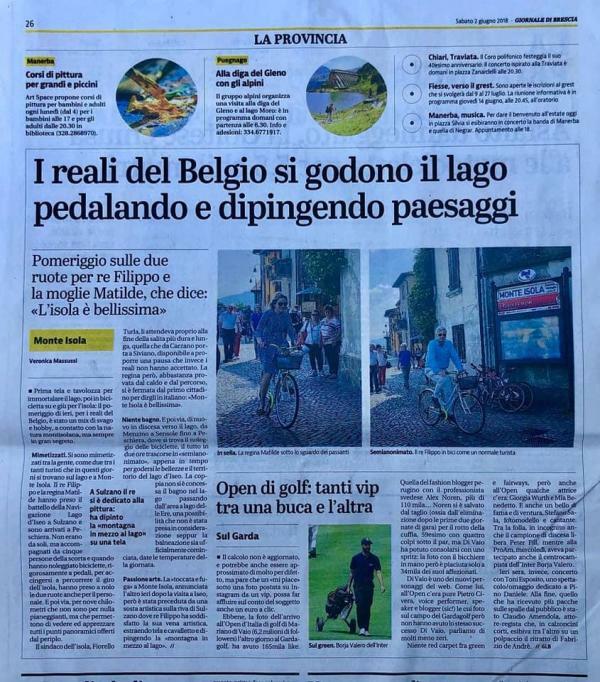 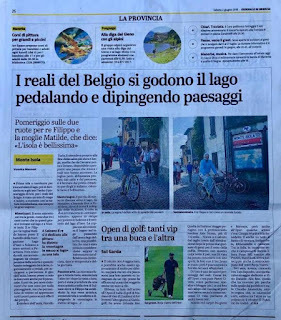 And they made it to the Italian press who quote the queen saying they're in awe of the island's beauty. 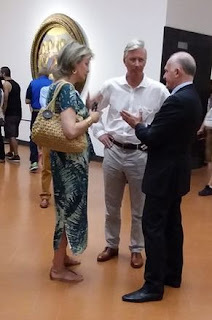 Philippe & Mathilde arrived in Italy on Tuesday, and will be back by Monday the 4th of June. Earlier, in August 2017, Philippe & Mathilde were also in Italy. 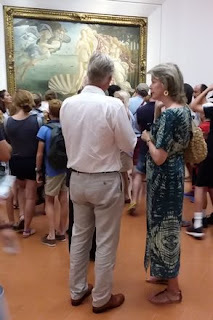 They visited the Uffizi Gallery in Florence.